N'Golo Kante dismissed talk of a move to Real Madrid as he insists his focus remains on success with Chelsea. 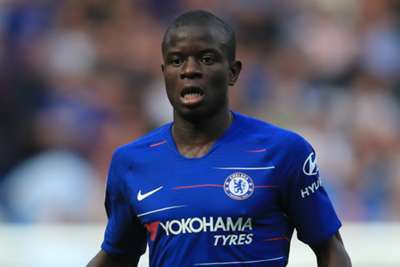 France international Kante won the Premier League with Leicester City in his first season in England and then repeated the feat with Chelsea in his second campaign in 2016-17. But the Blues have struggled since, missing out on Champions League qualification last term and then slipping off the pace again this season. Meanwhile, Zinedine Zidane's return to Madrid has seen speculation increase that Kante might be a close-season target, and Juventus have been linked, too. Yet the Chelsea star will not discuss matters away from Stamford Bridge. "I am at Chelsea and I still have aims here," Kante told RTL. "What is said elsewhere is not important." He added of a potential conversation with Zidane: "That is not important. I am at Chelsea and I am focused on that." Kante has scored three goals in 30 Premier League games this season, playing in a slightly more advanced role under Maurizio Sarri. As well as Kante, Madrid are reportedly interested in Liverpool's in-form winger Sadio Mane.